I started reading a very interesting book about success and I wanted to share some thoughts with you. The book is about being successful and how what you believe about yourself influences your chances of success. It’s called “Mindset, the new psychology of success” from Carol Dweck. So, basically, it all depends whether you approach things with a fixed mindset (“I am born with a certain IQ and it will stay like that all my life”) or with a growth mindset (“I can increase my IQ if I work on it”). I find that fascinating, and I had to ask myself how my mindset was. I am proud to be a big learner, and to be willing to learn all my life, so that would tend to make me say I have a growth mindset…And yet, I feel that in some areas there are things that I believe I probably can’t overcome (like: “I am not a saleswoman, I don’t know how to sell myself nor my services”). That’s kind of contradictory, but it only means that my beliefs about my ability and my capacity for growth are limited to certain areas (and completely inexistent in others!). I now want to take some time to examine in which areas I believe my ability to be “fixed”, and also to understand how to switch that after recognizing it. It sounds a lot like getting rid of limiting beliefs 😉 and I want to come back to it with you once I have progressed on that! To end this first post of my 2nd blogging year ;-), I would like to thank you for your replies to my last post (looks like you like interacting with me pretty much the way it is currently) and to let Emma and Sonia know that they won a coaching session with me! Congratulations ladies! And I just want to let you know as well that you are more than welcome to come back to me any time with your comments! When I realized that I was blocking my emotions, and decided to dig deeper into the issue (with some help! ), I came across the fact that I was doing too much and pushing too hard to make things happen. It felt like forcing onto things, and a bit of a struggle as well. And then I saw that by doing that, I wasn’t giving enough space (to the Universe, or to however you want to call it) to let things happen for me. I didn’t trust those things to happen without me (I sound pretty much like a “control freak” now, don’t I?). I thought, once again, that I had to do it all on my own. But I don’t!!! We actually very seldom do things completely on our own, for when there’s human interaction, there’s always a choice, and different ways things can go. So why am I always working like crazy to make it happen? Well, one reason is that I am pretty active, and it’s a lot easier for me to be in the Doing rather than in the Being. I actually do very little “just being” cause it feels boring ;-). And because I feel guilty when I am not doing anything. Do you recognize that feeling too? After that realization, I was able to slow down a bit (and then things started happening for me during that day!). I decided to take some time off my business, which I barely ever do – even though it just means doing something else instead (crocheting for that matter) and to relax this weekend instead. I also decided on a mantra I wanted to use for a while to help me with my trust issues: “I happily give space to the Universe to make things happen for me”. Another “action” I agreed to do daily was a 5’ break doing nothing (only 5’!!!). I would love to know if you have a similar issue ;-). Kindness is… Giving yourself a break! Do you ever get overwhelmed by how much you want to do? And by the fact that you are not managing as much as you as you want…? And do you then feel guilty for not managing? And does your self-worth go down at the same time? Do you ever get an overdose of self-development, when you feel there is so much moving in you, so many emotions surfacing, that what you really want to have now is some time off from it? Some quiet time just for a while? Do you ever wake up and are not able to fall asleep again because your mind is already racing and processing all those things that keep you busy? Or do you have difficulties to feel asleep because it feels difficult to slow down your mind? Well, personally I do, I am guilty of all of those… Today, it’s a mixture of too many things to do and too much inner work for instance that brings me in overwhelm. So what’s the solution? What are the options? Let me try to give you some ideas here. When I get overwhelmed by an overdose of personal growth, there as well I take a step back, in order to integrate what I just learned or to process what just happened, what I discovered about myself, before I can get back on the saddle again. I take it easy and do not force anything then, I try to relax and be gentle with myself. When I start having difficulties falling asleep or falling back asleep, it’s sign that I have been worrying too much. In that case, either I can do something about it so that I can stop the worrying, or there’s not really anything that I can do about it, then the only thing I can do is to relax about it. Meditation is then a great tool as it helps the mind to relax (at least a bit!). The other practices I use are using affirmations as mantras, in order to practice mostly trust and faith. But most of all, I need to give myself a break! That is also being kind to myself and not pushing myself over the edge, respecting my limits and my needs. I hope this helps! Let me know if you have other strategies you can share, to help others deal with those issues! 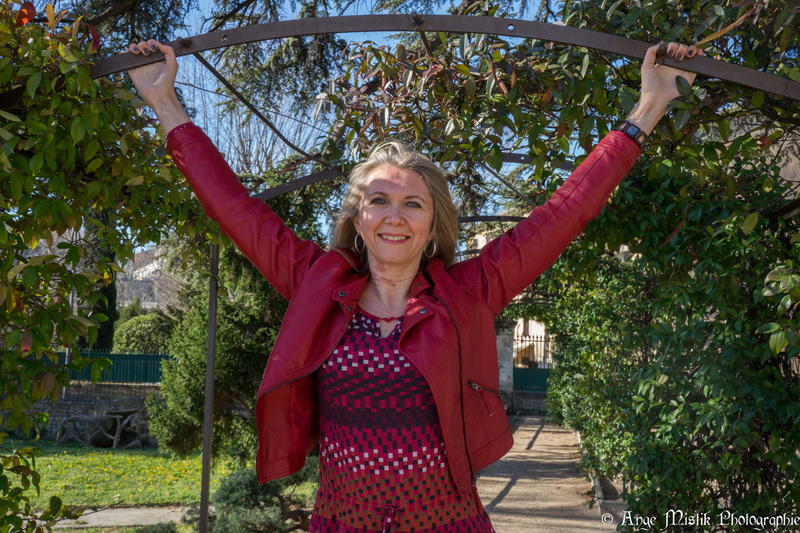 Born and raised in France, Madeleine Royère-Koonings is an International spiritual coach and writer. After working for multi-national companies in the fields of IT, interior design, human resources and teaching, she became certified as a Heart Intelligence Coach. Always drawn to helping people, she now works with clients all over the world to assist them in creating a life of purpose filled with joy and happiness. She met her Dutch husband while living in the Netherlands and they recently moved back to the South of France where they live a delicious life with their two lovely daughters and their gorgeous dog and get to enjoy 300+ days of sunshine, good food and even better wine. When she is not coaching or writing, she enjoys family life that includes renovating and decorating their house, spending time with great friends, reading about metaphysics, cooking and tasting wines. You may also request here a free Discovery Call with me to find out how I can help you!